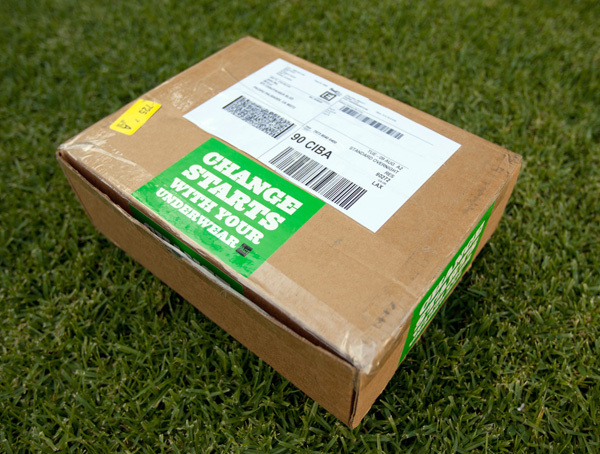 Nothing quite like a big box showing up covered in “Change starts with your underwear” stickers. 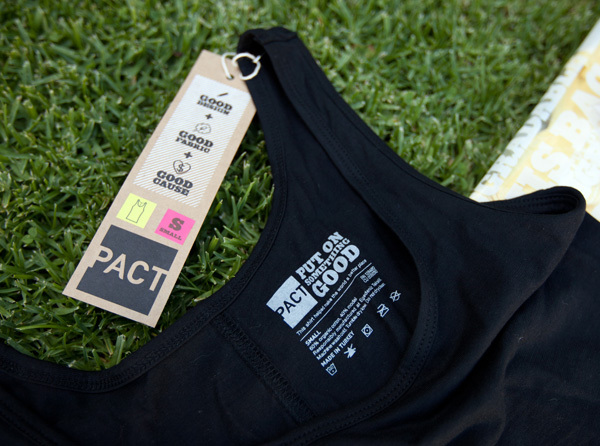 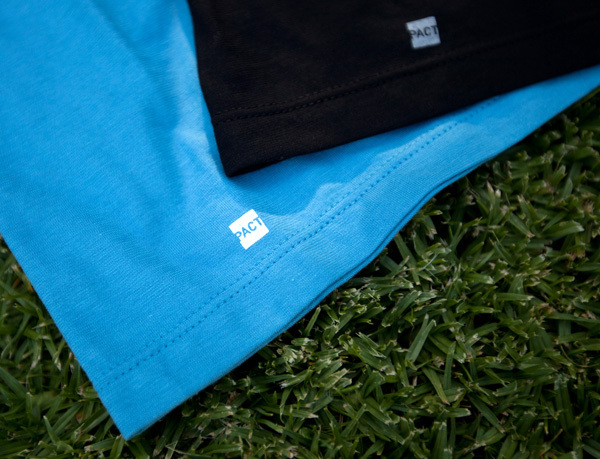 In 2009, we first wrote about PACT’s undies for a cause, well two years later, PACT, founded by entrepreneurs, Jason Kibbey & Jeff Denby, and designed by Yves Behar’s Fuseproject, has expanded their line of cause driven thongs and briefs to now include tees and tanks! 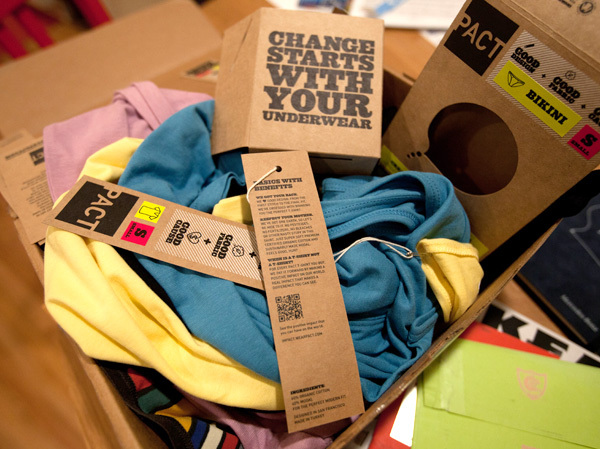 Their twitter describes them as “Beautifully designed and responsibly made men’s and women’s underwear supporting powerful social and environmental causes.” They were kind enough to send over a big box of their latest goodies. 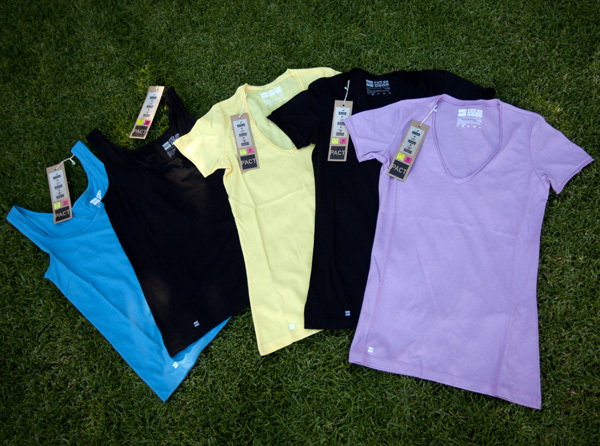 From their fun, colorful line of designer undies, they have added V-neck Tees and Tank tops for women and V-neck tees and Crew-neck tees for men in slight variation of their smooth cotton/elastane blend. 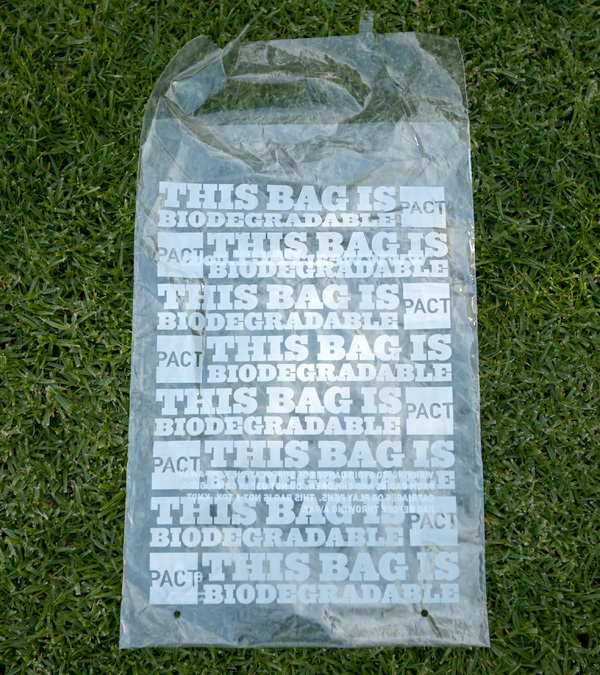 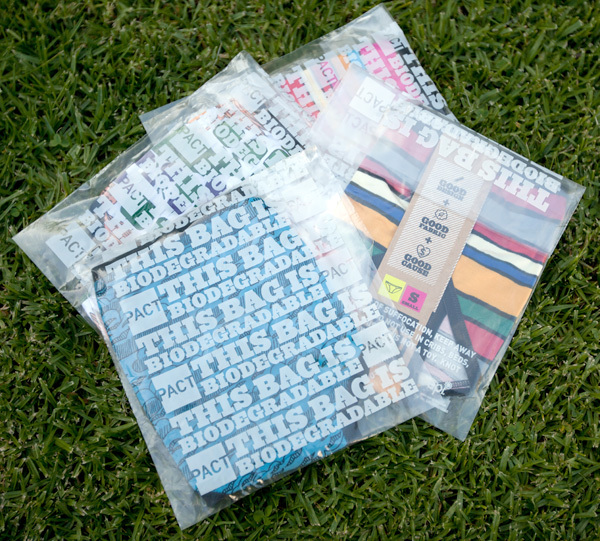 The design and packaging details are as much a part of the PACT experience as the goods ~ for web orders, the bookmark like labels give you the story and info on the related cause that is supported, and they are each individually wrapped in biodegradable plastic bags. 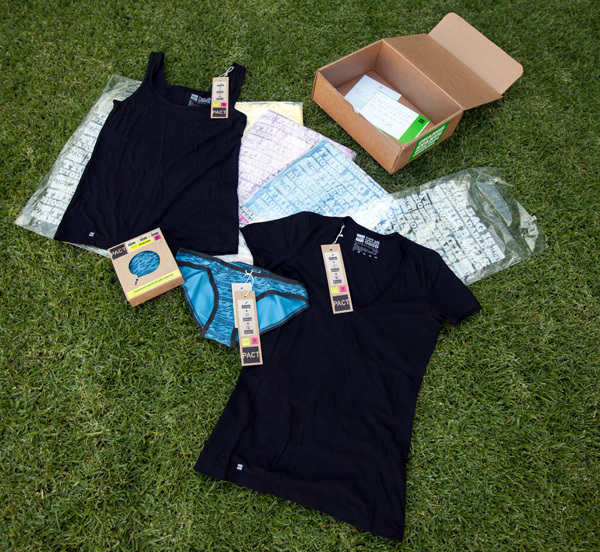 Also, have to love their playful photography of the ideal loungey life ~ home office attire perhaps? 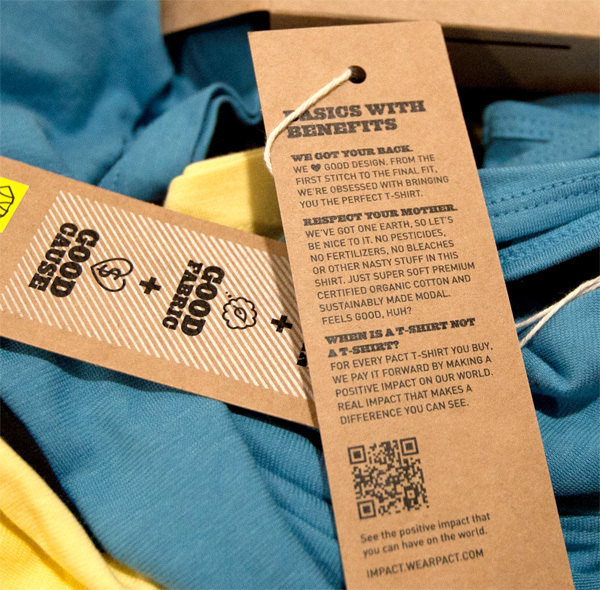 Take a peek at the new collection freshly unboxed on the next page!